Every Halloween I whip up a scary menu to serve my boys and the daycare children before they head home for a night of trick-or-treating. Over the years I have found a few wonderful ideas here and there. Some of the past favorites are mummy finger hot dogs, giant toenails (chips), and green ogre puss (pistachio pudding). 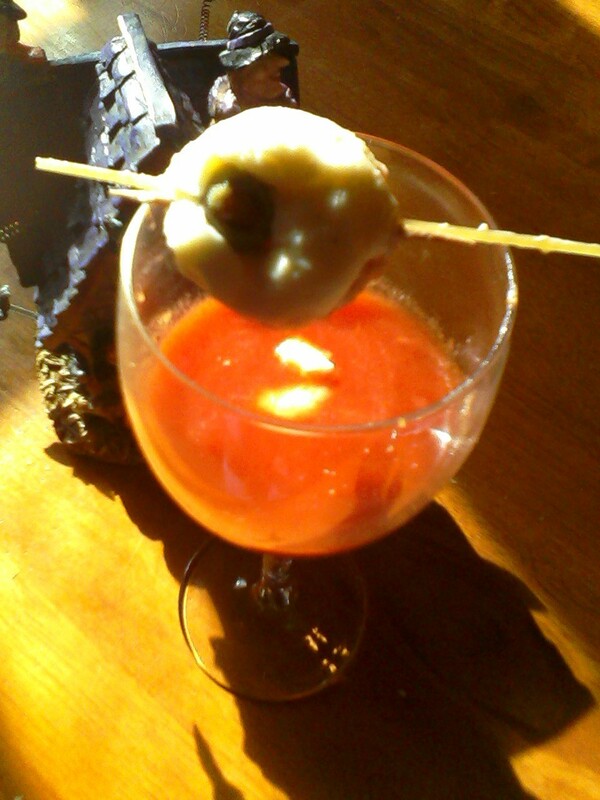 The one menu that stands out above all the rest is eye balls and blood soup. This is a simple idea that literally makes eyes bulge with surprise. I have served dilated pupils floating in homemade tomato soup and snuggled in steaming chili. The boys absolutely LOVE this and request it every year. 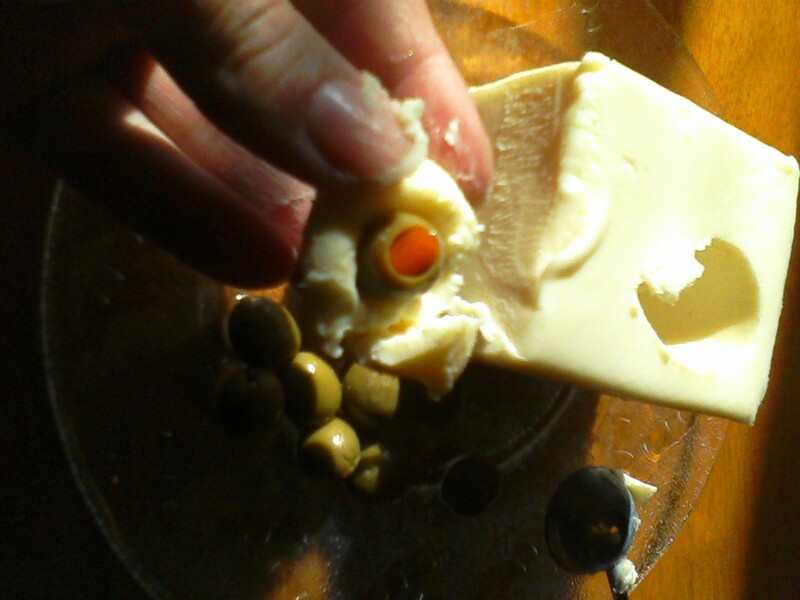 White Cheese- I used blanco Velveeta today, but I have used string cheese, shredded mozzarella, block mozzarella, etc. 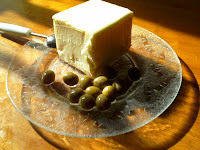 Soften your cheese in the microwave safe bowl. I bypassed this step by using a white Velveeta cheese today. If you opt to use a different cheese, all you need to do is microwave it until it can be rolled into balls. Be careful that you don't overdo it and burn the cheese. 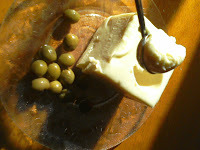 Next, take your melon baller or spoon and dip out a rounded piece of cheese. 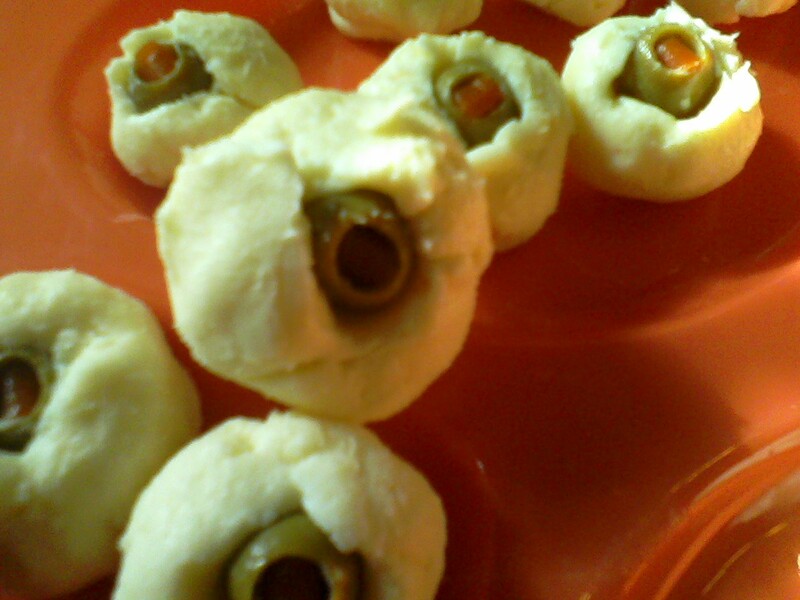 With your finger, make a small indention and place an olive inside. Gently press the cheese around the olive. Finally, roll the cheese ball in the palm of your hands to smooth out the edges and give the eyes a round appearance. I enjoy serving these in hot soup, in goblets of tomato juice, or as a fun finger appetizer. Do you have any fun or spooky treat ideas? This post was featured on Planet Weidknecht! 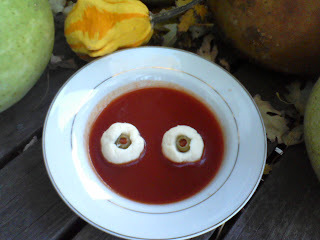 Stop by and help her develop a spooktacular Halloween Recipe resource! She is compliling a wonderful Halloween recipe resource. Stop by!